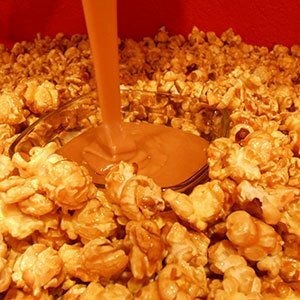 We make our gourmet Caramel Popcorn with real butter and real vanilla and every kernel is completely coated. Made with real butter, brown sugar. Take our great gourmet Caramel Corn and add a little sea salt when it is hot right out of the coater onto the cooling table.